WashGuys are always interested in ways we can help the communities that our team serves. 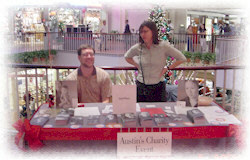 It is for that reason the Washguys founder joined 10's of thousands of others in the Austin Charity Event. When President Bush suggested that all American's put in their 2000 hours, that was not lip service, he meant it. 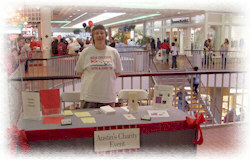 So when we found out that KVET of Austin, Texas and the Highland Mall were putting on this event, we decided to find out which charities were their to receive the many Texans who came to volunteer their time. Our founder wanted to personally thank the Program Director at KVET, a Channel Communications Station and M. Darlene Corum the Retail Marketing Coordinator for Highland Mall. Who was there? 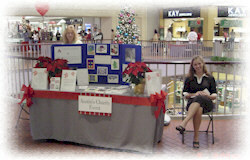 All the local charities which serve the community day in and day out. As many know funds are in short supply now that the economy has slowed down a little, there is less money to go around. We talked with some of the most potentially devastating issues of the near future with the spread of AIDS and other serious illnesses. 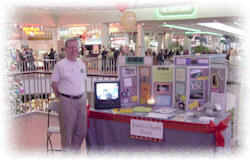 There on hand was a very knowledgeable group of people with Interfaith Care Alliance. We talked with Violet Leos, the Community Resource Director for the Austin Girl Scouts and volunteered our car wash fundraiser services. click here. We made sure to point out that we did not want to replace their number one fundraiser The Delicious Girl Scouts Cookies (especially Chocolate Mints). 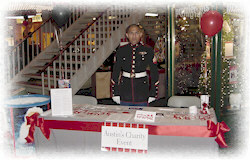 Other National Organizations with big local Austin representation were the Salvation Army, always out in force during the holidays, The United Way promoting their seasonal Angel Tree, United States Marine Corp's "Toys for Tots" program and Safe Place for domestic violence and sexual abuse victims. Our own WashGuy Team has been active with the Safe Place groups in AZ and NV. We were very happy to see the Austin State School, which helps mentally retarded adults in training, social services and medical care, this is so important that we do not forget them in our society. Also next to them was the Austin Children's Shelter which provides emergency shelter and high quality care and a hope for the future for our abandoned kids in the Austin Community. Speaking of Kids, a great program called Insure-a-Kid was present helping kids who need health care insurance, and we would personally like to thank Michael Dell, Founder of Dell Computers for his extremely active role in getting this one off the ground. This is an incredible program and it is our belief this should be duplicated whoever possible, great program, good people and inspirational story of leadership and creativity in the midst of adversity, WOW. Children's Advocacy Center was there talking about what is being done about something no one wants to talk about, child abuse cases and it's effect on kids. Very heavy subject and extremely dedicated people, a real tear jerker and they are there for the kids and were actively recruiting volunteers and promoting awareness. 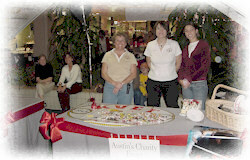 Real everyday family issues were there in force also, including; Literacy Austin, teaching people to read, write and speak English; Live in the Game, providing fifth grade girls with adult female mentors; RIF-Reading Is Fundamental, motivating kids to read books; and Capitol Area Homeless Alliance, a day shelter for the homeless and yes the Bush's have volunteered to work in the food lines before and the people there made it clear Austin is serious about find the necessary means to help those people on the street transition into both employment and housing. Also on scene was Lone Star Equine Rescue which helps improve the lives of equines throughout Texas and neighboring states. We would like to tell every one how great it was to see Americans sign up to volunteer and do their part. And we too felt proud volunteering our team to car wash fundraisers to help the kids groups. We are all in this together, don't ever forget that.